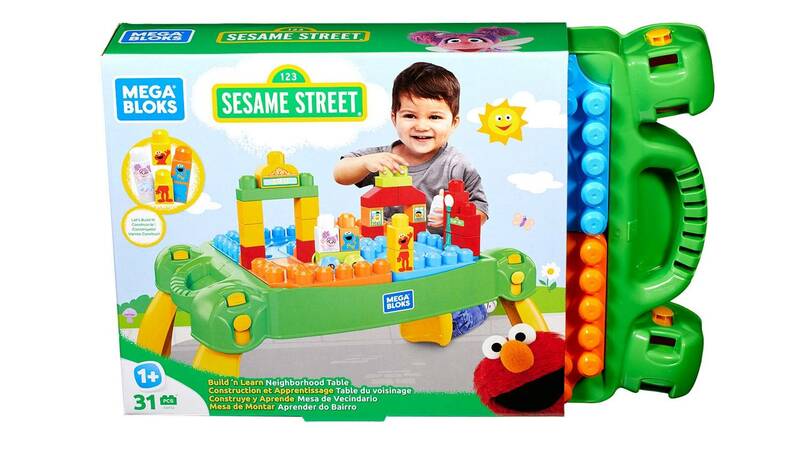 Bring Sesame Street to life wherever you go with this portable play table! 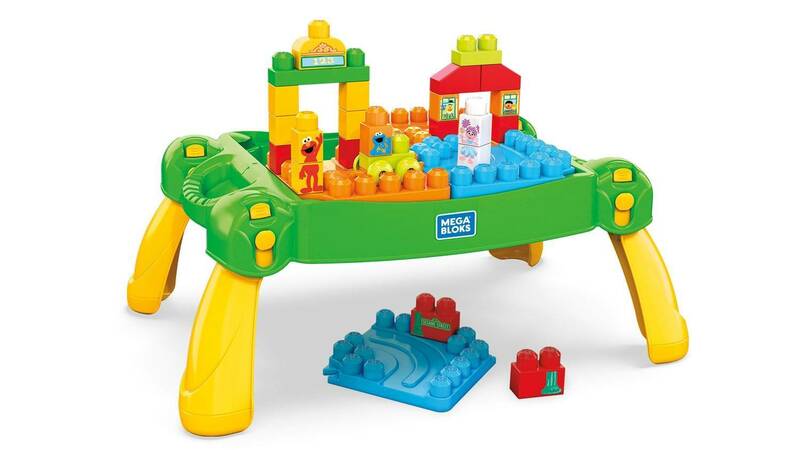 Your little one can build big adventures on Sesame Street with this portable, folding play table that goes wherever you do! 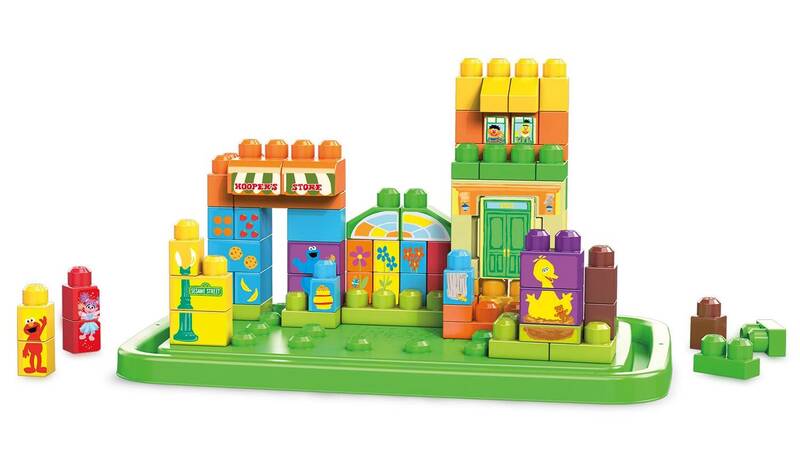 Build Elmo, Cookie Monster and Abby Cadabby, then build the archway, lamppost and Bert and Ernie’s house. Go for a drive when you sit your favorite characters on the rolling wheelbase and zoom around the block! 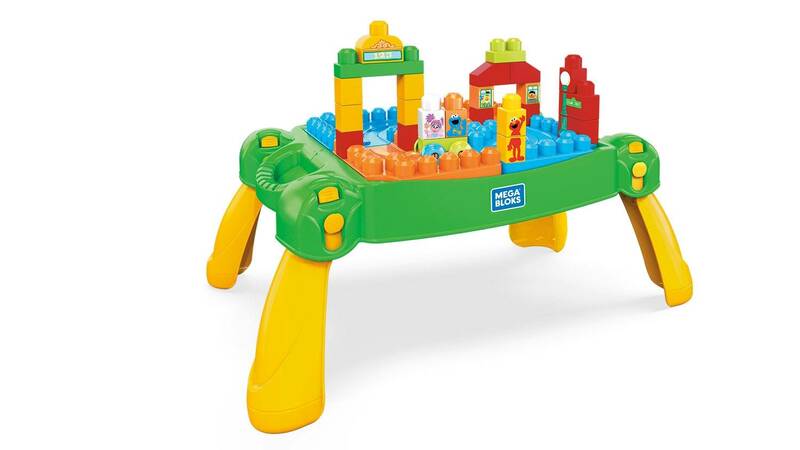 Perfect for families on the go, the table features an easy-to-grip handle and hidden storage for quick clean-up. 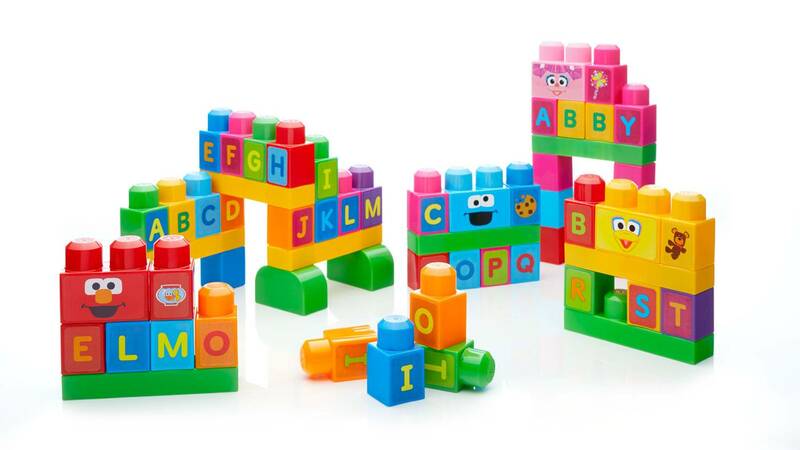 • Combine with other Sesame Street preschool toys from Mega Bloks® and build them up!